Now available online, new Avant Toi. 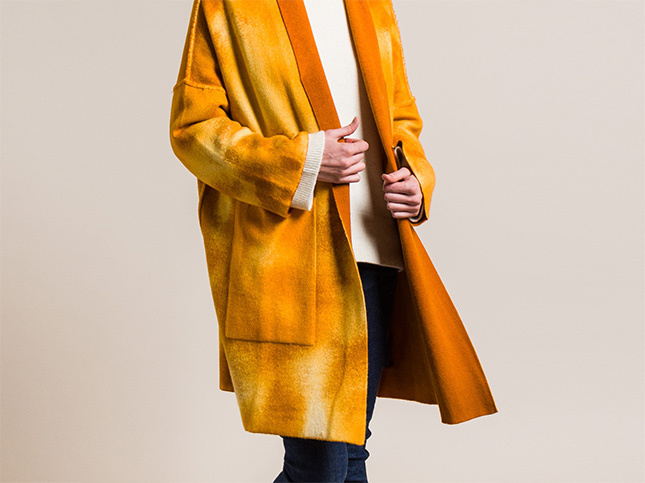 The shipment includes cashmere open cardigans, lined with wool, in yellow, blue, grey and good layering for fall; deep hues of blues, red, and green are dyed onto silk and felted cashmere scarves; and felted wool and cashmere coat in natural and grey. The latest shipment is available online and in-store at both Santa Fe Dry Goods & Workshop on the Plaza in Santa Fe, New Mexico.